Posted on March 18th, 2018. Crystal clear waters surround this tropical island paradise. Sun-kissed white sandy beaches lined with swaying coconut trees and incredibly stunning views are just one of the reasons that Barbados has been voted the top destination in the Caribbean. The island is known for its glorious weather with a year-round tropical climate ensuring that no matter what time of the year you visit you are guaranteed sunshine. It is often asked, when is the best time to visit Barbados? In short, the answer is anytime! Grab your passport, put on your sunglasses, and I promise you no matter when you visit Barbados you won’t be disappointed. From the moment your plane touches down in Grantley Adams International Airport you will feel you have landed in complete paradise. 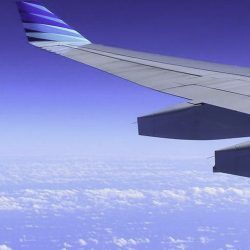 As soon as the plane door opens you will instantly feel the warm air brush against your skin and the excitement of knowing you are in one of the most beautiful islands in the World will soon sink in. For those looking for glamour and sophistication, Barbados has it all. The villas in Barbados are outstanding; as are the resorts. The island is also host to many national and international events and festivals which take place year-round. Whether you are a sports fan, a music enthusiast or a foodie, there is an event on the island to suit you, and this can often determine when is the best time to visit Barbados. With direct flights from so many U.S. and Canadian cities, including direct flights to Barbados from New York city, as well as daily flights from Europe there has never been a better time to escape to this tropical island and bask in near perfect weather. Barbados is one of the most popular islands to visit in the Caribbean and rightly so. The island is perfect for couples looking to escape to an exotic location on honeymoon or for those looking for a destination wedding; it is certainly hard to beat this island. No matter when you decide is the best time to go to Barbados I promise you will have memories that will last a lifetime plus visitors are never be short of things to do in Barbados. Read my Essential Barbados Travel Guide. Barbados Weather is hard to beat. The island with endless year-round sunshine makes it one of the best climates in all of the Caribbean. You are guaranteed a warm and tropical Barbados climate with plenty of hours of sunshine each day, and due to its location, it has fewer tropical storms than other Caribbean Islands. The weather and climate can certainly determine the best time to travel to Barbados. 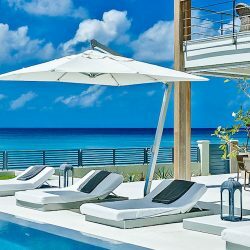 Many of our clients prefer to travel in the high season which is from the end of November until April, however, travelling after April 15th although it is the rainy season in Barbados (low season) you can often get incredible rates on many properties and villa rentals plus there is often free nights included. The low season offers great value for money however it does rain a bit more often. It may sound surprising to hear that it rains in Barbados but since it is a tropical Caribbean island, the rain tends to come in the afternoon and only lasts for a short time, and the sun is always just around the corner. Barbados hurricane season is mainly during the months of August until the start of November, but the island has seen few hurricanes over the last number of years so this should not affect your vacation but cannot be guaranteed since it’s a tropical island. 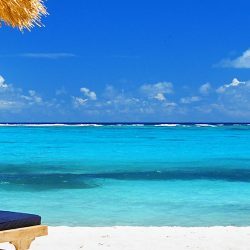 The Barbados climate is hard to beat as not only does it offer endless sunshine, but the island features northeast trade winds which will ensure the temperature does not get intensively hot. In fact, temperatures hardly ever exceed ninety degrees at any time of the year. Of course, at nighttime, you can experience temperatures a little bit cooler, so it is recommended to bring a sweater or cardigan when going out for dinner especially if you are dining outside in one of the many excellent restaurants in Barbados. It is also worth noting that dining in Barbados in the high season will require restaurant reservations which we can arrange for you. In comparison, the low season allows you to have a better choice of restaurants to visit, and you will rarely need a reservation during this time of the year. Deciding when is the best time to travel to Barbados can often seem like a tricky decision, but with its wonderful year-round climate, there is never a bad time to travel to Barbados. Whether you are planning to visit Barbados in the Summer or in the Winter time you are sure to have the most amazing and memorable vacation. The figures outlined below show monthly average maximum temperatures and monthly average rainfall in Barbados. 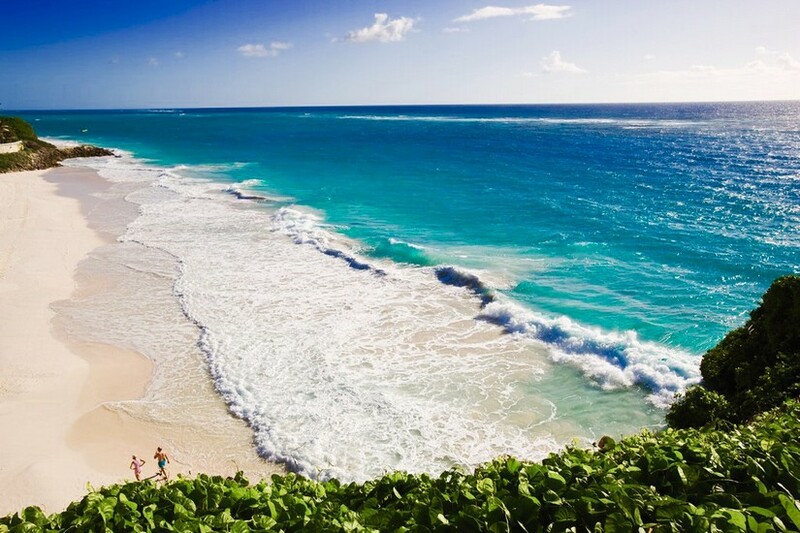 The best time to travel to Barbados for families is anytime! No matter the season or occasion there is always some fun-filled activities on the island for families to enjoy. Barbados is not just about the beach there is much more to see and do on the island. Some of the best festivals in Barbados include the Crop Over Festival which takes place each summer and the Barbados food, rum and wine festival. The Oistins Fish Festival is an annual event that takes place every Easter weekend in the scenic fishing village of Oistins on the south coast of the island. Oistins, originally a fishing village is home to one of the best fish fry festivals in the Caribbean. Its low key and casual so dress appropriately. 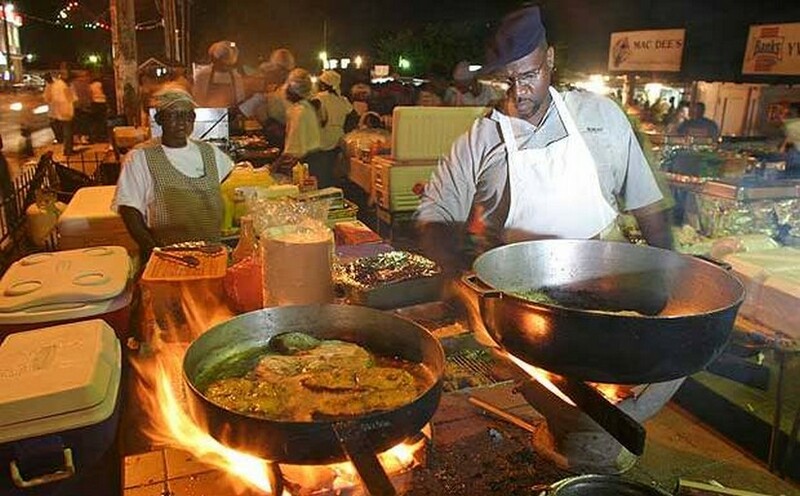 It is not just an annual event over Easter, every Friday night you can enjoy the infamous Fish Fry where you will find lots of street food and vendors. As the name suggests, fish is the main food served, but you can also find other meat dishes on offer. The fish fry festival has the best local and freshest fish dishes to tantalize your taste buds. The locally sourced fish includes tuna, swordfish, marlin, flying fish and mahi-mahi. The aromas are sure to delight! What makes the festival really come to life is the live bands with lots of music and dancing. Oistins is a very popular sport, especially on the weekends. The crop over festival is one of the biggest events taking place in Barbados each year. In 2018 the festival will take place from the 24th of June until the 6th of August. It is by far one of the best events in Barbados. Visitors can really get a feel for the local Bajan culture and island life during crop over. The six-week festival celebrates all that is Bajan with dusk till dawn parties, arts and crafts markets and a culinary-driven street fares. The finale event is the Grand Kadooment Day where visitors can enjoy Masquerade Bands playing music, and street dancers dress up in costumes decorated with colourful feathers and lots of jewels. The festival is all about celebrating being Bajan with food, music and dancing. Barbados is often referred to as the Culinary Capital of the Caribbean and rightly so. The island offers some of the freshest fish and local ingredients which can be found in many of the island’s restaurants. The festival hosts world-renowned Michelin star chefs for a culinary event like no other. The festival provides both local and international dishes and some gastronomic works of art, featuring acclaimed international and local chefs, wine experts and mixologists. The food and cooking demonstrations are a delight. It is difficult to travel to Barbados and not get a taste of the rhythms and vibes of reggae music. Sitting underneath swaying palm trees on a white sandy beach with a cocktail in hand listening to the sounds of the Caribbean Sea and the gentle rhythms of reggae are sure to get you in the holiday mood. Visitors can enjoy the islands jam-packed Reggae on the Hill event taking place at historic Farley Hill National Park in April. There is also an annual season of outdoor theatre and musical performances hosted in the sublime gardens of Holders Great House. The Barbados Reggae Festival taking place in April is one of the best music festivals in Barbados. This week-long music festival has received international acclaim, with performances from leading regional and local reggae artists. In 2018, the festival includes a fantastic Reggae Beach Party, Vintage Reggae Show and Dance, Reggae Party Cruise and the popular Reggae on the Hill. Barbados is home to many sports and is most notably recognized for Polo, Golf and Cricket. For those looking for an active vacation or merely would like to be a spectator, there is a sporting event in Barbados just for you. The best time to visit Barbados for Polo is just after the Christmas Season when the international polo season starts, and the high season is in full swing on the island. There is a great buzz and atmosphere this time of year. In 1884 Barbados recorded its first-ever polo match. It was a game that suited the Bajan lifestyle where horses were part of everyday life. The local plantation owners on the island owned their own horses and stables making it an ideal sport to part take in. At that time, horses were the means of transport on the island, and horses worked the land to help with sugar cane harvesting and production. Polo is one of the most loved sports in Barbados, in fact, many visitors to Barbados will enjoy their first polo experience on the island. Polo makes for a great afternoon of entertainment. The Polo season is from early January through to the end of May. You will find local and international polo teams competing on an island in some of the best polo clubs the world has to offer. One of the newest clubs is Apes Hill where many of our luxury villas are located. Apes Hill Polo Club is a world-class polo club offering a full-sized field and a practice field. Competitions are frequent here during the high season with matches being played several times per week. The club offers a great place to spectate on all things equestrian. All visitors are welcome to come and watch the polo matches. On match days, there is a full bar in operation along with tea and light food for sale. Please note that polo is dependent on a sunny day so be sure to check the weather. Golfing is one of the best things to do in Barbados. For the avid golfer, there is no better place to enjoy a Caribbean break than the island of Barbados. With so many golf clubs to choose from you would be forgiven for not making it to the beach. With the large selection of golf courses, the high standard of golfing facilities and breath-taking views it really is a golfer’s paradise. The most famous golf course in Barbados is the Green Money which is located in the Sandy Lane Resort and is one of the most expensive on the island. Some of the other well-known clubs include Royal Westmoreland, The Barbados Golf Club, Apes Hill Golf Club, The Sandy Lane Country Club and The Old Nine which is also located in Sandy Lane. It is worth mentioning that the golf course at Royal Westmoreland was designed by the famous golfer Robert Trent Jones Jr. 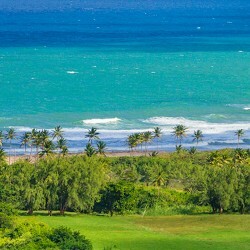 It is one of the most popular golf courses in Barbados. It is a par 72 course and 7045 yards long. Since it is positioned on an elevated site the views from every green are stunning. The Club House is also fantastic and offers wonderful views of the 9th hole. The West Indies is famous for cricket and Barbados is celebrating its 120th year of organized cricket. It is a huge sport on the island with the local Bajans competing locally and internationally. Visitors can enjoy Cricket games all over the island with several international matches taking place each year at The Kensington Oval. Choosing the best time to visit Barbados has never been easier with our guide on the best time to travel to the island. No matter which time of the year you visit you are guaranteed to have sunshine every day! With endless white sandy beaches and some of the calmest turquoise waters imaginable, you are sure to enjoy a fun-filled vacation in this tropical island paradise! Linda is the Marketing and Sales Executive for Exceptional Villas and has an in-depth knowledge of the travel industry. Linda's qualifications are in the area of business, marketing and tourism. Linda travels for much of the year inspecting all of our luxury villas; the majority of her time is spent in the Caribbean and Europe.